GATE Exam Centers Exam centers are the centers from where students need to attempt the GATE Examination. Here list of Exam centers where the Graduate Aptitude Test in Engineering or GATE 2019 for M.Tech admissions will be conducted. Each GATE 2019 zonal centers comprises of GATE exam centers that come under its zone. The national level exam will be conducted across 199 cities of India and 6 cities in other countries abroad.The authority will give a facility to the candidates for choosing three centers from two are in the same zonal and one are from others. There are 8 zonal centers of GATE 2019 including IISC Bangalore and 7 IITs. While filling online GATE application form all candidates must choose three preferences out of GATE examination centres 2019. 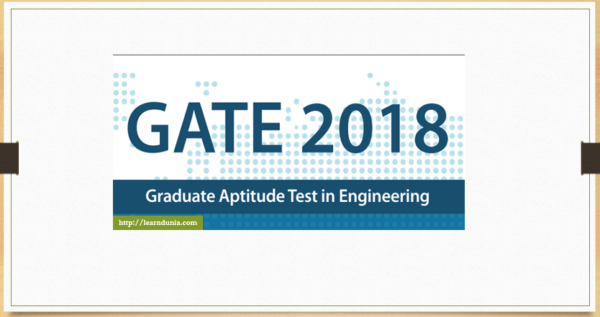 How to choose GATE Exam Centers 2019 in the application form? The table below shows a list of the GATE 2019 exam cities (zone-wise) in which GATE 2019 will be conducted. Below is the list of 27 GATE exam centres from the zone IISc Bangalore. Below is the list of 27 GATE exam centres from the zone IIT Bombay.